Home dailythings entertainment fact Health & Wellness Health and Wellness Interesting recent slider Having Hair In Your Ear Is A Warning Sign! What Does It Mean? 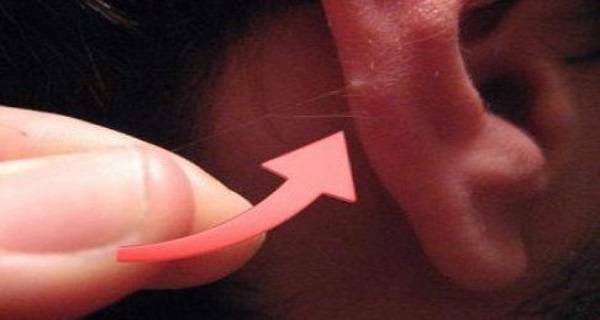 According to a recent study, there is a connection between the hair in your ear canal and heart attacks! Yes, it sounds strange, but it has been confirmed by several studies! The roots of the study date back to 1973, when a study by Dr. Sanders T. Frank and his team have been published in the New England Journal of Medicine. Dr. Frank has been able to identify a diagonal earlobe crease (now named “Frank’s Sign” in his honor) which can indicate coronary artery disease. This disease occurs when there’s plaque build-up in the arteries that restricts normal blood flow. 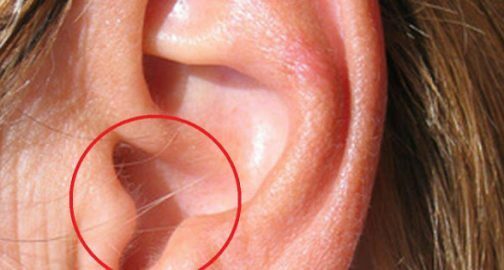 According to a recent study, there is a connection between the hair in your ear canal and heart attacks! Yes, it sounds strange, but it has been confirmed by several studies! The roots of the study date back to 1973, when a study by Dr. Sanders T. Frank and his team have been published in the New England Journal of Medicine. Dr. Frank has been able to identify a diagonal earlobe crease (now named “Frank’s Sign” in his honor) which can indicate coronary artery disease. This disease occurs when there’s plaque build-up in the arteries that restricts normal blood flow. This study has been the starting point for later research. In 1984, another team of scientists proposed the same theory. Their study included 43 men and 20 women who had the crease and ear canal hair and have also experienced cardiac arrest. One of the scientists, Dr. Richard F. Wagner of Boston University Medical School said that long term exposure to androgen (a male hormone) led to clot formation in the arteries as a result of excess red blood cell production. 5 years later in 1989, there was another study published in the Indian Health Journal which examined the link between the crease, ear canal hair and coronary artery disease.